The Virtual Business Center ("VBC") was built based on actual business experience. What do we need to make managing our business easier? We need to be able to locate things quickly, maintain customers, schedules and forms, etc. The solution is the Virtual Business Center. Ideal for almost any business. Focus businesses include Auction Companies, Consignment Shops, Antique Shops and Malls, Estate Sale Specialists, Pawn Shops, Appraisers and more. Never lose that important phone number again. Maintain forms in an organized manner. Keep schedules and assignments in order. Create, Upload and Manage forms. 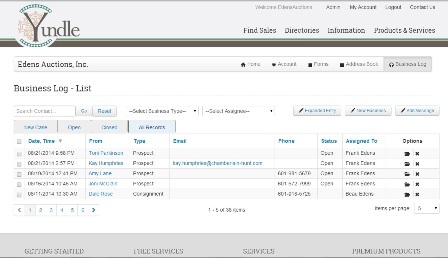 Business Log to manage prospects and clients. Create and manage your users. Upload Files related to entries. Maintain your schedule with powerful calendar. Select from over 100 small business forms included with your access to VBC. Create, edit, complete and print forms online. Upload forms in various form formats. Interactive forms included such as Profit and Loss. Upload images to maintain in one location. Operates as a repository for all your Company files. Powerful system to manage your prospects, clients and customers. Prospects and Clients upload files easily. E-mail notice to users of assignments. Send and store email and attachments related to entries. 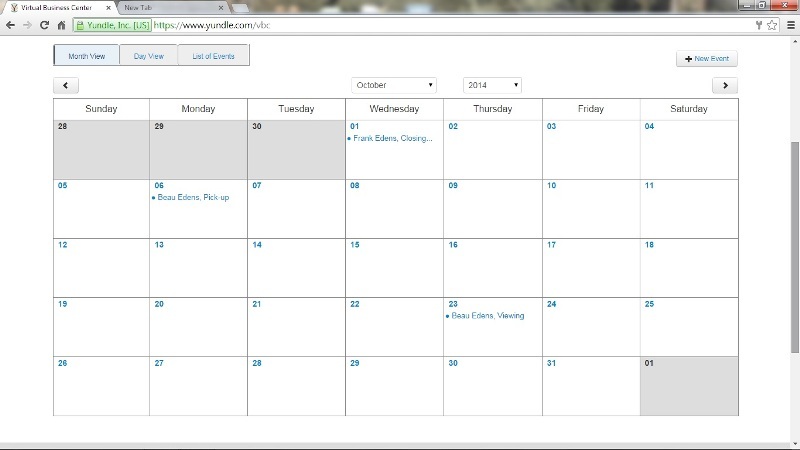 Integration of Calendar and Business Log assignments. Maintain your address book based on category. Send email online with attachments. Maintain your own categories of contacts. The VBC helps you organize all in one place. Operating any business can be a pain. The VBC removes the pain by making all important things available at your fingertips. Maintain forms, users, contacts, prospects and calendars securely online.